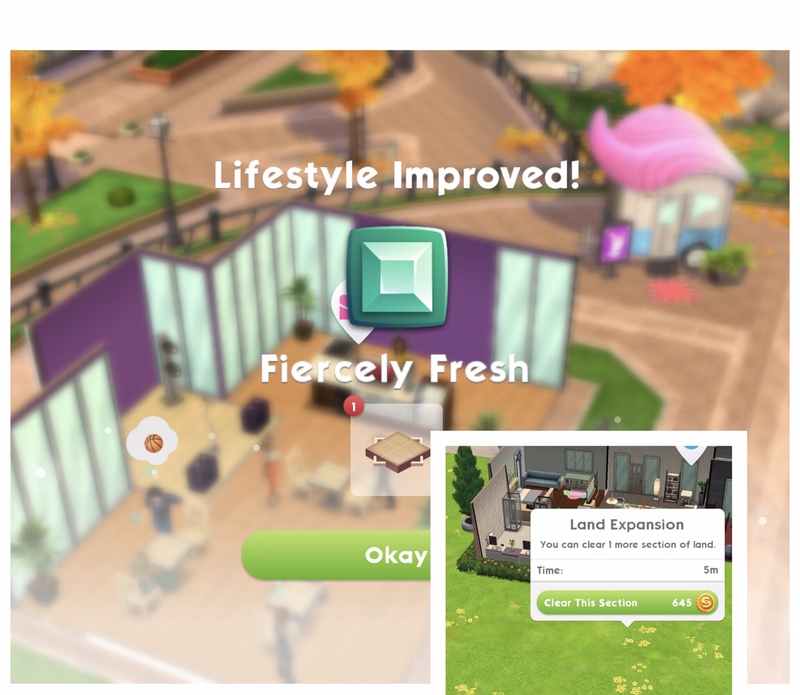 On this page I have listed the most common questions I have been asked about The Sims Mobile so far, if you have any questions that aren’t listed then please ask me in the comments section- not on the post requests form! I have linked any posts or videos I have created for more information on most questions, click those to find out more! Why can’t I play as the children or change their appearance? Only adult sims are playable (you can control) babies, children and elders just do their own thing! Check out my ‘Making Sims Playable’ video here! How do I move out a sim? Once your sims children have grown into adults or once sims become elders you can move them out, click on the family photo and click on the sim you want to move out, click move out and it will ask you if you are sure. Once you move them out you won’t see them again. How many heirlooms do I need to unlock the different display cases? How do I join a career? Click on the pink suitcase at the workplace you want that sim to join, it will then ask you what story you want to tell, click on the picture of the story to begin the career. Read my ‘Starting and Switching Careers’ post for more details. How do I send my sim to work? Either click on the car button under the sim info panel button and then click on the suitcase to get to the workplace or from the sim info panel you can click go to work on the career story. Emily appears and asks for your help to complete tasks within a set amount of time to earn simoleons and XP, if you complete all the tasks in the time you will earn bonus rewards such as the LlamaZoom tokens which is the only way to earn these tokens. Check out my video all about ‘LlamaZoom’ here! How do I give stickers? Click on a sim with a blue plumbob above their head and click on one of the stickers to give it to them. Read my ‘Guide to Stickers’ post for everything you need to know about stickers. How do I earn tickets and what can I buy with them? 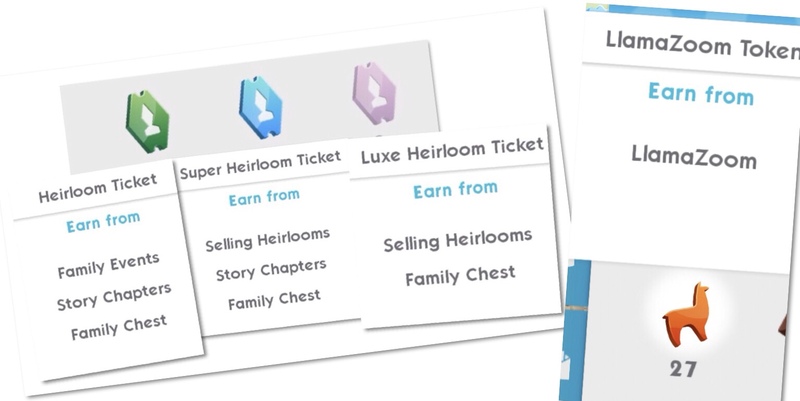 Tickets then can be used to buy new items for your sims house, new clothes and allows you to add new sims! how do I change my relation with my other playable sim from sport buddies to fiance/wife? is it possible? No explanation on how to sell duplicate heirlooms. I haven’t got any duplicates yet but I guess you just click on the heirlooms collection shelf, find the heirloom you want to sell and click on it and select sell. when i entered izzy’s fashion shop, i create a new design but the clothes always done for male, how do i get a new design for female? Do you have any female sims yet? If not you won’t make any clothes for female sims, you will only make clothes for male sims but it is completely random so you cannot make it so you get a certain gender. Sounds like a glitch to me! I have two playable sims but can’t move my wife in as there is no room for her apparently… how do I change this? I also wasn’t able to ha e a child with her we could only adopt..? Once one of ur playable Sims retire, then u can move her in. To have a baby, make sure there is no one else in the room. Plus, don’t have the bed next to the wall. How often can you retire sims, and how many traits can a sim earn in a day? I’m level 25 now and finally retired one of my first sims. Before I retired one of them, both prompted me to retire them every day since level 16. After retiring one of them, I immediately went to retire the other, and the option wasn’t there. I’m curious if there is a cool down between retiring sims? Can you only retire 1 sim per day? I retired 3 sims today so you can definitely retire more than one sim a day. Traits depend on how much your sims do each day so that really depends on how much you are playing. How do I get the piano heirloom is there some trick like completing the guitar hobby and dj career before you retire? The piano heirloom was a pack in the store that cost simcash, once brought and placed in your sims house your sim can complete the piano hobby. Every time I go on my sims, there is always the same lady in my place that is not one of my players and I just don’t know how to get rid of her. Any ideas what I could do? You cannot get rid of sims that aren’t yours, are they not one of your retired sims or children? My relationship story has ended but I have a quest to begin a new story . . .can I not begin a new story with my 2 existing sims? Unfortunately no, you cannot complete a new relationship story once you have finished one. My Sim just got married and I’m wondering, what will happen if the other player retires the Sim before I can move them in and get all the things for a baby? Will my sim’s husband just disappear? How many heirlooms do I need to unlock the heirloom shelves? Ive retired a SIM but still haven’t had an option to complete the family event ‘tree of knoweldge” does anyone know how I can complete mentoring or tasks with elders? Thanks for your help, as always! How long does it take to recover one energy? He is playable, but would like to change his hair and clothes.how do I get the option for this? You can change his clothes and hair, that pop up is saying that you haven’t unlocked something he is currently wearing so if you change his hair or clothes you won’t be able to put that hairstyle or outfit back on him as you haven’t unlocked it yet. If you don’t finish the baby quest in time how do you get to do it again? Or can you buy the crib without finishing the quest? Hello ! I have two sims that retired and moved out. I’ve invited both of them to meet with their daughter who I’ve promoted to be the sim I now control and play with. Lately the socialize button for those two retired sims has been grey while everyone else’s has been green. Why can’t I socialize with them ? I never see them around town either. Also, will my current sims also retire and move out after its done completing task and stuff ? How do you get party cake? I’m in an event & earning solid pink stars. What are those for? Those fill up the bar at the bottom of your screen, once the bar is full the event is complete. can I still purchase furniture if I don’t have any home tickets? Does anyone know where to find the beverage shelf? I’m being told ny Llama to do a task using a beverage shelf but I can’t find one. It’s a home decoration in the Big-Shot Business career collection. 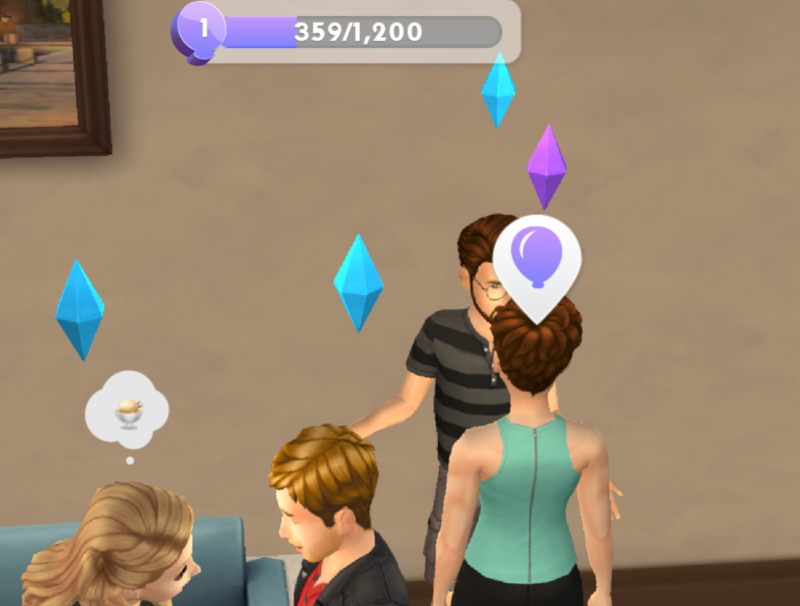 My sim recently married a male sim after divorcing her other partner, but her ex is the only partner in the family portrait, how can I get rid of him in the family portrait and add the new husband? If I fail to complete a special quest to unlock a job or hobby will it come back. Yes, the internet icon quest returned to unlock the internet icon hobby so I assume they will be bringing them all back in the future. How do I start the chance to dance career? Where should I go? What should I do to trigger the dance magic quest? Hi thanks for your tips. I have a question related to retirement. 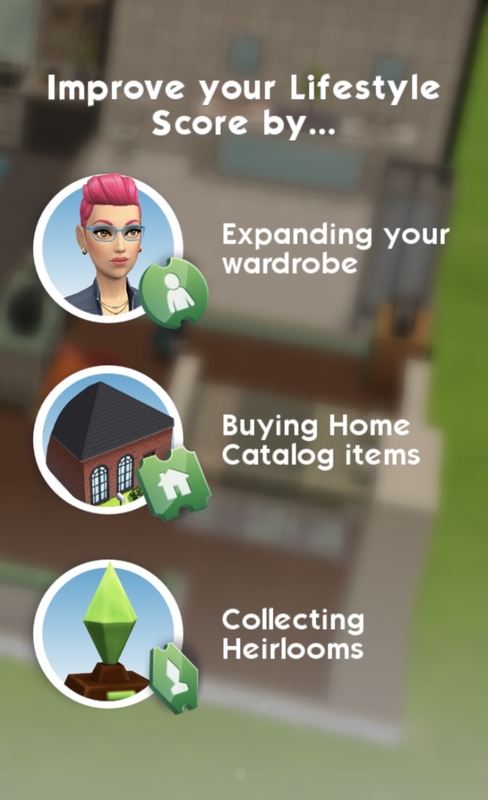 After I retire a sim, all the career/hobby rewards which i purchased for the home or workplace do they stay? Or will those rewards disappear and have to be purchased again? Can a new sim take a retired sim’s completed work/hobby? Is there a room size limit? Been trying some of the new shaped rooms but says room area too big when trying to place it. Yes there seems to be, I was trying to make a massive living room once but it was just red, it didn’t tell me that the room was too big. I didn’t make a note of the largest room size I could have though, sorry! Can’t open arrow to go to party…do you know something about this? Are you clicking on the arrow or where the arrow is pointing? Is it possible to meet and then build relationship with other simmer’s unplayable sims? For example, my friend has playable sim A and sim B, and unplayable sim C who is a (though already an adult) son of A and B. Can my playable sim meet with C? If so, how? I’ve read around that to interact with other simmer’s sims is through a party, but it didn’t exactly specify if I would be interacting with playable or unplayable sims. And I have noticed that there are no children in parties. If I can not interact with other simmers’ unplayable sims, does it mean that those unplayable sims is only accessible to them? Or, in other words, my unplayable sims would only be accessible to myself? Unfortunately their unplayable sims only appear in their own house on their game so you won’t be able to interact with them so yes only you can interact with your own unplayable sims. My tablet died, how do I play on my desktop? You can’t, you can only play this on a mobile device. Sims Mobile has been borked for me since the start of the Harvest event….not a chnance to finish in time! Can new sims take old sims’ career/hobby once the old sims have retired? Can past events come back? Hello. I have a problem with the astronaut career. I leveled up my Sims until 10. However, the event to complete the career story does not appear. So my Sims cannot end the astronaut career story, and have to retired. What happened actually? How can I fix this? My toddler was roaming around. Now he is not to be found. I’m not sure where he is or what to do? Has he aged up to a child? I just retired my first sim today. Can I play as her daughter? Also, why can’t I get the Tree if Knowledge option?? I am completely stuck on tree of knowledge. I tried with 2 sims to get the elder event and failed. I started the better late event. And it took me through all the levels and I completed it with 2 sims. 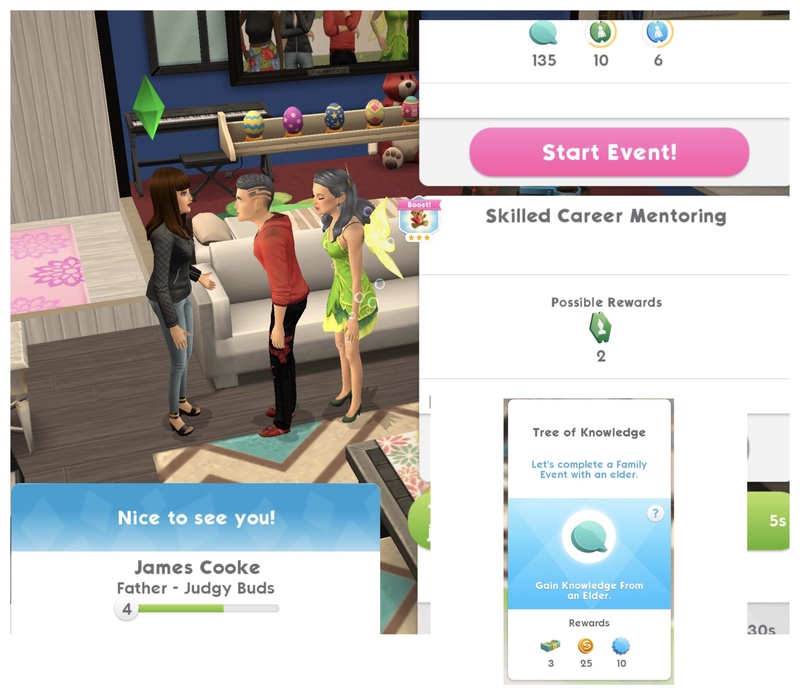 Now I’m trying with my 3rd sim to get the mentoring hobby event. And it’s taking me through the event steps again. The only option was to start the quick hangout which I did. What am I doing wrong? My retired sim completed a hobby and career.